As a student admitted for the Summer semester, below are your next steps to accept your offer and enroll at Purdue. Click on each step for more detail. Accept your admission offer. Students admitted before May 1 to begin in the summer term must accept their offer by May 15. Students admitted after May 1 have three weeks (or until the start of the term) to accept. A nonrefundable $400 deposit will be required to accept your offer. The deposit will be applied toward first-semester fees and the housing contract fee (if you contract with University Residences). File the 2019-20 Free Application for Federal Student Aid (FAFSA), which is available now. We strongly recommend that you use the FAFSA's data retrieval tool to transfer your IRS tax information directly into your FAFSA. March 1 is Purdue's priority FAFSA deadline for the 2019-20 academic year, which includes Summer 2019, Fall 2019 and Spring 2020 sessions. May 5 is the priority deadline to apply for Learning Communities. Spaces are limited and placement announcements are made in early June. Summer Transition, Advising and Registration (STAR) is the required summer registration program for new students. It's held on campus on multiple dates in June and July. STAR registration will be available beginning December 12, via myPurdue, to students who have accepted their admission offer. International students will have the ability to attend Virtual STAR. 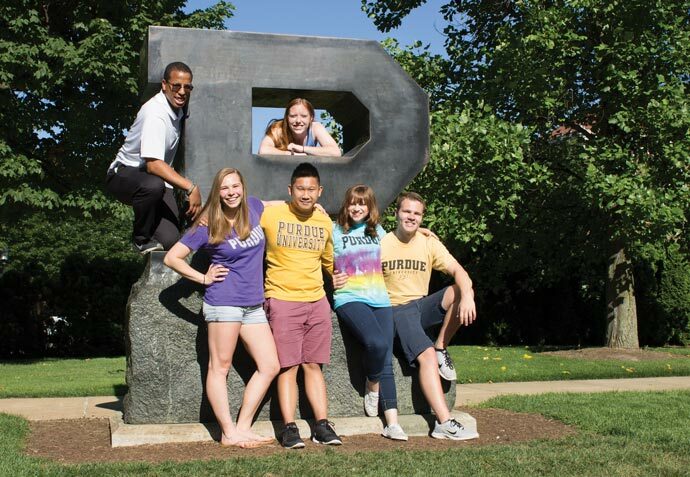 Boiler Gold Rush is the new student orientation program held the week before fall classes begin in August. BGR registration will be available beginning December 12, via myPurdue, to students who have accepted their admission offer.